The trail camera reviews you find here are not some rewritten crap just hoping hoping to get some advertiser dollars. The ratings and reviews are REAL and from REAL Hunters. We understand how important this buying decision can be and we want you to feel 100% confident in your choice. Here is a quick look at five of our favorite game cameras. I’ve included them here so you can jump right in. You will recognize all the brand names and might enough recognize the models. The comparison chart makes it a little easier to see the most important specs and how each trail camera ranks. Our main goal here is to be a valuable resource for someone that is shopping for a new trail camera. The reviews should help the hunter narrow down his choices and select the best model for their situation. I have to admit, I am tight. I hate to spend money even if it is on new deer hunting gear. So let me start by saying that all the models represented here are the best value and not necessarily cheap. 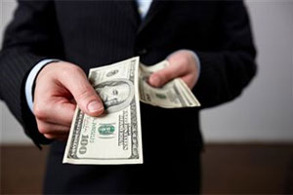 Their is a tremendous difference between lowest price and best value. We are trying to find the best trail camera as the best price and not the cheapest trail camera. In our top 5 trail camera list we did include price but we really didn’t use it as a rating parameter. In the effort to make it easier for our visitors I decided to break them down into increments. 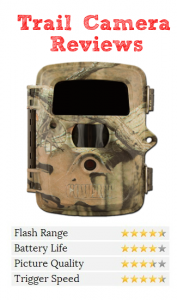 So below is a short list of the best trail cams within a certain price range. This is perfect for the hunters that are not sure what they are looking for but are already locked into a shopping budget. The Moultrie D-444 is one heck of a camera for under $100. The low glow infrared flash has an impressive 60 feet range. This is more than enough to cover a feeder or ag field. Like all Moultie game cameras the pictures are tag with an informative data stripe. This stripe contains temperature, barometric pressure, moon phase, date and time. A veteran hunter will know how to use this information to better his odds of tagging a big buck. The D-444 is a little more expensive than the Moultrie A5 but it is packed with many more features. Time lapse mode and the ability to capture HD video are sound are enough to push the D-444 to the top of the list for trail cameras under $100 dollars. In fact you can currently save more than $30 off the list and pick up the Moultrie D-444 at Amazon for $99. You can also feel confident with our endorsement(check out the full Moultrie D-444 review) and the endorsement from the more than 100 4 stars reviews it has received. The Moultrie M-880 @ Deerpros.com got the nod for the best trail camera under $150 dollar award. I know it seems a little fishy having Moultrie claim the first two spots but I can’t control everything. After a little surfing around I was able to find the Moultrie M880 priced at $135. This is a seriously good deal. My M880 has spent a lot of the time in the field and it is easy to use and dependable. The trigger speed may be just above 1 second but it still catches most of the deer entering the field. Picture quality at 8MP is also very good. Moultrie markets the freeze frame technology and I would have to say it performs quite well. All the specs and features are covered in more detail in the Moultrie M880 review. In 2010 the flash was a little weak on the Trophy Cams but this has been improved over the last few model years. One of my favorite features is the Hybrid Mode. The camera will snap a picture when it is triggered and then begin recording video with sound. It is so much fun to watch the video instead of just seeing pictures. I only run my Trophy Cam HD in Hybrid mode. So you are basically getting real time updates from your deer hunting lease. Trigger speed and refresh rate can be really important especially if you are monitoring trails. Deer are constantly moving and capturing a picture while on the trail needs to be quick. Trigger speed is how quickly the camera turns on and takes a picture after motion is observed by the sensor. Refresh rate is the time it takes for the camera to recover after taking a picture. If baiting deer is legal in your state then trigger speed may not be that important. Placing the camera over the feeding station is a really common practice. In this case refresh rate may be even more important. The game cams ability to recharge for the second or third picture will guarantee that no big bucks are missed. Believe it or not but some trail cameras do not respond well to all batteries. We have found the use of high milliamp digital camera batteries can actually impair some models opperation. For some companies it became such and issue that warning cards were actually placed in the packaging. I have tried to include this information in the individual reviews but be sure to confirm before spending money on batteries. Bushnell and Covert are two that come to mind. 8 years ago battery life for trail cameras was a much bigger deal. In 2014 I expect to get 1 year of use from 1 set of batteries. Some are better than others but one deer seasons of use is typical. Severe cold weather can cause batteries to drain more quickly. Another popular category in our game camera rating is the picture quality. If you are a previous owner then you probably realize that most have the option to select the photo resolution. This is always in MP and refers to the quality of the photo. The higher the resolution the more crisp and detailed the picture. The thing that really kills trail camera picture quality is blur. Remember we are trying to take a snap shot of a wild animal and telling them to stand still ain’t going to happen. In our reviews we found that most companies are marketing technology that helps freeze this movement and reduces most of the blur. Moultrie is one of the companies. Please keep this feature in mind if you plan on monitoring trails. The quality of the night photos is directly related to the strength and quality of the flash. Flash range is something that is included in all specs and features. The range is normally noted in feet. At the time of this report I would say 4oft flash range is about the average. As you can see in the photo below it is almost like someone is holding a flashlight on the deer. The Bushnell Trophy Cams are reliable and since then they have been improved but this flash bugged me for years. LEDs are all the rage. Everything from camera flashes to flashlights are made with light emmiting diodes. As technology advances and more is understood about the impact of light on the animals the market is offered several choices in flash types. Plain Jane white light flash. This option really makes some beautiful full color night pictures. In fact if the deer is too close you might end up with a whiteout overexposed picture. What is the difference between low glow and no glow LED flashes and why is it important. A low glow flash is just an array of infrared LEDs. A No Glow flash is also just an array of infrared LEDs. The major difference is the spectrum of light that is emitted. The no glow version emits wavelengths of infrared light that are not visible to humans and deer. And By visible we mean that you must be staring directly at the camera to see the faint red glow. This is incredible important if you have decides to use your trail cam for security purposes or covert surveilance of land, buildings or equipment. The photo below is intended to provide an example of the differences between the various levels of IR flashes available in todays modern infrared trail cameras. The only thing deer hunters love more than killing deer is checking their trail cameras. One of my hunting buddies has 4 boys and they call the chore of pulling sd cards “redneck Christmas”. Trail cameras have become the single most important tool in managing land for deer. In just a few weeks you can determine the density and ration of your deer herd. You can also learn more about the quality of bucks that may be traveling through your farm. I had my first trail camera about 20 years ago. It was actually a homebrew project that was made from a Sony point and shoot camera and Pixcontroller board. It was a ton of fun to build in my garage and it worked great. In fact, one of buddies is still using it to this day. Since that time game cameras have evolved into microsized digital devices. We are no longer using C cell batteries and instead only using 6 or 8 AA batteries. Years of testing have gone into these reviews. I have purchased every single one of these trail cams with my own money. At no point did a manufacturer send me a model to “field test”. Everything found here is my opinion and has not been influenced by the action or gifts of sponsors. This website does receive advertisement fees from Amazon and other retailers but these fees have in no way lead or swayed my view on any product listed here.